As Europe moves forward with its plan to develop a satellite navigation system similar to the global positioning system, President Bush authorized a new national policy that reaffirms the U.S. commitment to GPS technology and aims to improve the stability and performance of the system. The White House says the updated policy — announced Dec. 15 and superseding a 1996 policy — formalizes the U.S. response to potential military and homeland security threats, similar navigational systems, and a fast-expanding commercial market. The policy also reaffirms the nation’s commitment to make the service accessible to the public free of charge. One of the priorities of the new policy is to ensure that the system cannot be used by terrorists to disrupt battlefield operations or launch an attack on U.S. interests at home or abroad. A Bush administration official, speaking on the condition of anonymity, told the Associated Press late last year that the president has ordered plans for temporarily disabling the system in the event of a national crisis. Former President Clinton in 2000 ended the practice of Selective Availability, which deliberately degraded GPS accuracy for civilian use. The White House has said it won’t reinstate the practice, but parts of the system could be disabled during an emergency. The president also instructed the Defense Department to develop plans to disable an enemy’s access to GPS and similar systems. The military, which uses GPS to track troops, and guide bombs and missiles, could jam the signals in targeted areas with limited effect outside the problem area, according to the White House. Agencies, including the defense, transportation and homeland security departments, will be given new responsibilities, although acquisition and day-to-day oversight of the GPS network will remain with the Pentagon. Plans also call for compatibility between GPS and other space-based systems to guarantee ease of use and precision wherever the technology exists. Europe recently announced it was moving forward with its $4.8 billion Galileo program, with four satellites to be built and launched in 2008. “This is an exciting period for the GPS industry,” says Mike Swiek, U.S. GPS Industry Council executive director, in a statement. Established in 1991, USGIC is a collaborative model of industry, government and users working together to make GPS and satellite navigation a global technology success. Some aspects of the updated U.S. policy are classified, and there are lingering concerns about funding for the system. 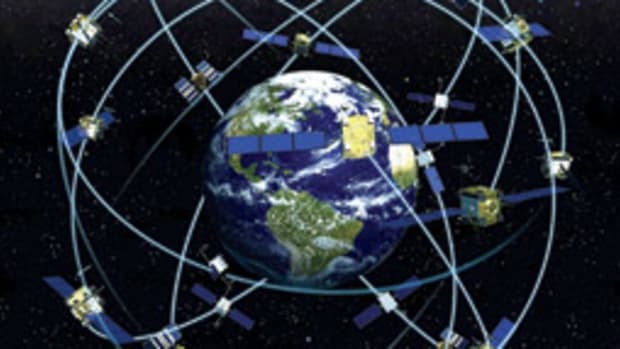 The GPS system comprises more than two dozen satellites that transmit signalsto the ground. It was made publicly available after a Korean plane lost its way and was shot down over Russia in 1983.